This boat is in beautiful condition and has had quite a few customizations made to it making it quite unique. 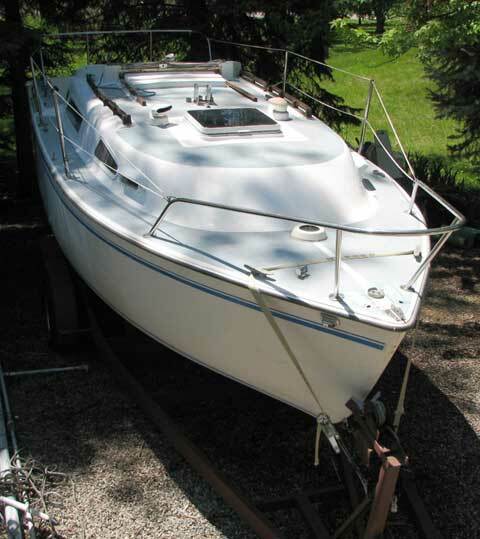 With some groceries, new batteries, and an outboard motor of your choice this beautiful boat is ready to sail off for the weekend. 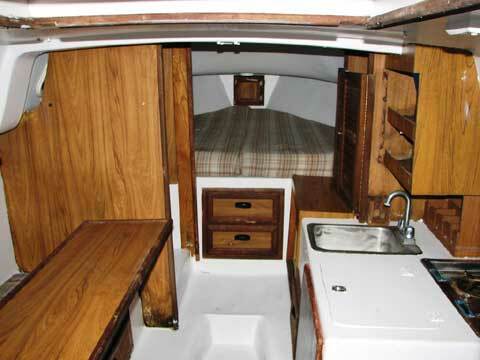 This boat has much love put into it but i can no longer store it in my mothers driveway. Give me a call with any questions you may have. I would be willing to sell this boat without the trailer. I have a full size truck so i can deliver virtually anywhere for a reasonable fee. 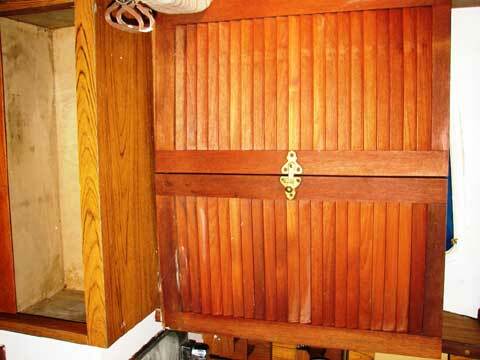 Boat has pressurized fresh water system with holding tank. 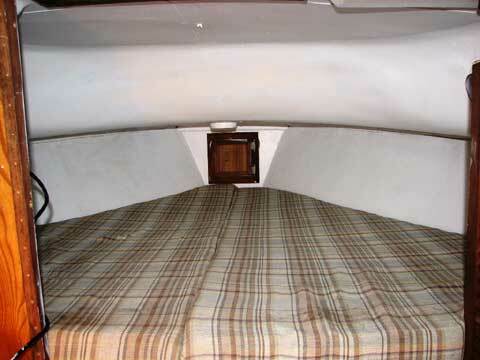 Hull is hand laid fiberglass with epoxy resin used so there is never a worry of blistering. Keel was molded as part of the hull so there is no keel/hull joint to ever worry about. 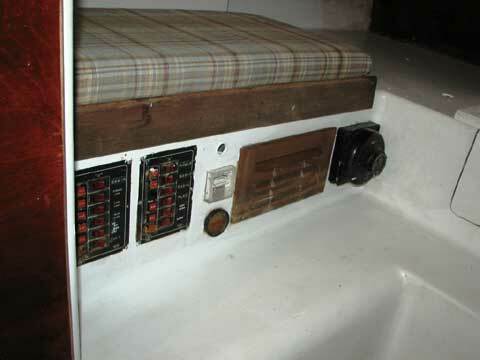 Boat does not have a wood core so rotting will never be a factor. 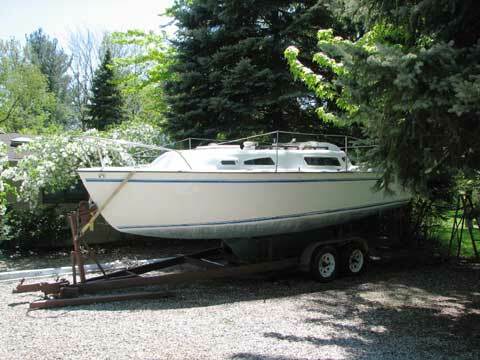 I towed this boat 300 miles about 3 weeks ago when we had a warm weekend and she towed fine. 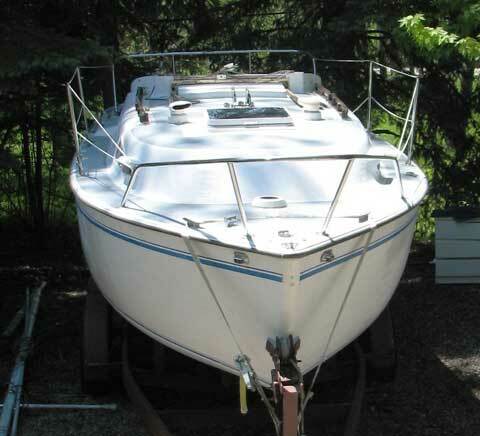 Boat sold through craigslist for full asking price. Thank you very much for your time i had a half dozen inquiries from your site. Thanks for your help.